I.T. Radio: The Year In I.T. BMG and Erika take stock of 2016 via some of the defining dancefloor moments from their events over the last 12 months. 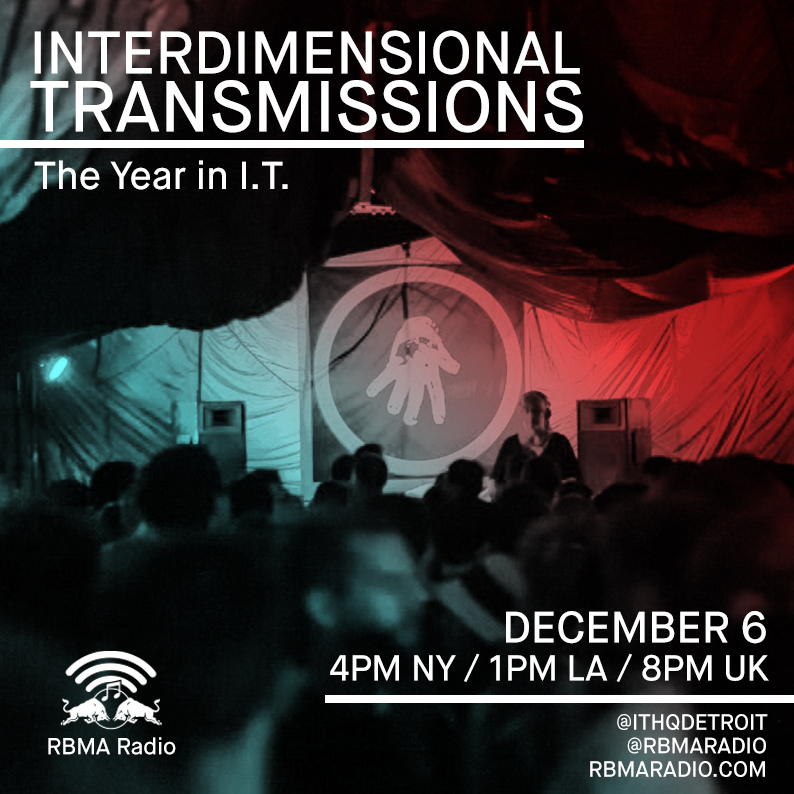 It’s been a stellar year for Interdimensional Transmissions. Now more than ever, the world is taking notice of BMG and Erika’s expansive take on Detroit’s musical heritage – there are more I.T.-affiliated parties than ever, and the artists in their musical orbit are becoming more and more in-demand on the international circuit. So on the last edition of the crew’s monthly broadcast from Detroit for 2016, BMG and Erika celebrate some of their favorite musical moments from the year that was. Over the course of this episode, hear a sunrise set from Scott Zacharias, brain-melting techno from Patrick Russell, rarities from I.T. hero Moritz von Oswald and lots more – plus, a cameo from Derek Plaslaiko.